Jabel is the renowned name in jewelry industry, with zeal to offer timeless designs, which are appreciated for their durable designs and selection of finest quality gems and stones. The designer has perfect skills to combine the charm of stones with the most refined form of metals like gold and platinum. As a result, we can always expect some wonderfully created designs from this jewelry brand. The fancy rings and diamond wedding rings are most enthralling designs offered by the jeweler. Also, you can look for anniversary rings to impress your partner with exclusive designs. Gemstone jewelry needs a big round of applause, not only for the selection of colorful gems but also for the way these are crafted to form breathtaking designs. The bracelets, pendants, and earrings are other designs eligible for your praise. 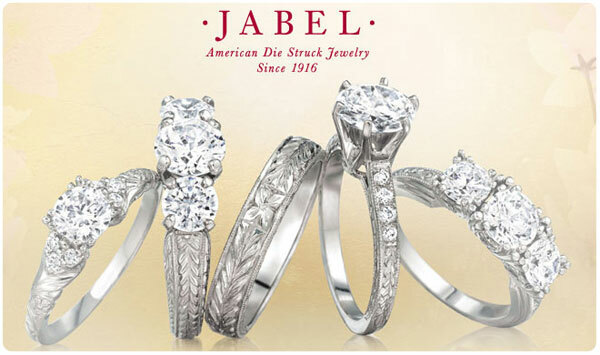 Jabel distinguishes its jewelry designs from those offered by other jewelers with the help of various techniques for manufacturing them. For instance, die-struck metal forming is proficiently utilized by this jeweler to come up with superlative designs. Also, the jeweler has right arrangements for in-house alloying of metals to make them more durable. The finishing and polishing processes of this renowned designer add glitter to the designs available to the customers. The jewelry designs from Jabel are not only durable and beautiful in looks; these are also comfortable for wearing at different occasions. These can add enough elegance to your personality and make you a topic of discussion amongst your friends. You can easily find these jewelry designs at authorized stores in various parts of the country.